Perhaps you received a scholarship to attend Michigan Tech or had a professor who made a significant impact on your career and life. With a bequest or a planned gift, you can provide a valuable educational opportunity for future Michigan Tech students. We invite you to join Fred McNair, president of Michigan Tech from 1899-1924, and hundreds of others who have helped to preserve and enhance Michigan Tech's tradition of providing practical, discovery-based teaching and learning. No minimum amount is required to join the McNair Society. You automatically qualify for membership when you notify the Office of Gift Planning that you have provided for Michigan Tech through your estate plans. 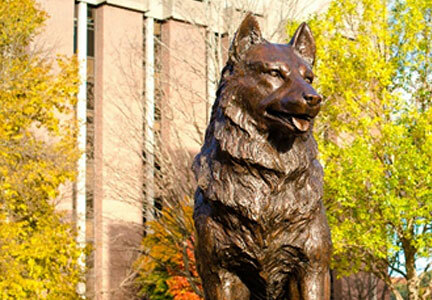 Does Your Estate Plan Include Michigan Tech? You also may email the Office of Gift Planning, call 906-487-3325, or send a fax to 906-487-1250. We would be pleased to recognize you, too, as a member of the McNair Society.